In order to maintain decent vision and to keep your eyes healthy you must have routine eye exams. For certain age groups it may be alright to have an exam every two years; however, if you are a senior or have diabetes it is a good idea to be checked every six to twelve months. 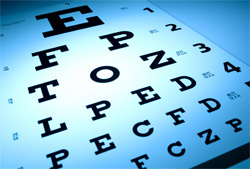 Be sure to consult your eye care professional regarding the consistency of eye exams that you should maintain. At this exam your pupils will be dilated so the doctor can see into your retina, your vision will be checked and you will be screened for eye diseases or disorders. If further testing is required a more comprehensive exam and possible testing will be scheduled. If you experience any changes in your vision between regularly scheduled visits with your eye specialist, you should schedule an appointment at Midshore Surgical Eye Center as soon as possible. Early detection of problems and treatment of problems can be the key to preventing loss of vision. Regular eye exams can diagnose a variety of eye conditions early on and are the best way to preserve good vision. For children, strabismus (crossed eye) and amblyopia (lazy eye) can often be diagnosed and treated in early childhood, avoiding life-long vision impairment. Also, rare eye conditions from birth (like congenital cataracts) can be diagnosed and treated. For all ages, refraction tests can determine whether prescription eyewear would be beneficial, and what power is necessary Furthermore, many debilitating eye diseases can be diagnosed before noticeable symptoms occur, potentially making the difference between minor damage and major vision loss. To learn more about the importance of routine eye exams, click on the video animation below.